The Melbourne branch of THQ is gone with all hands. THQ may have dodged an enormous bullet back in July, but smaller financial issues are still gnawing away at it. In a bid to do whatever it takes to stay afloat, the publisher has shut down its Melbourne office. 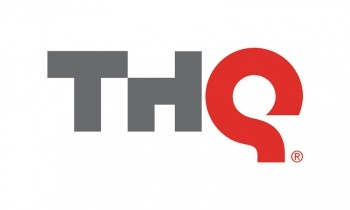 In addition to the loss of 18 jobs, this decision means that future distribution of THQ games in Australia and New Zealand will fall to All Interactive Entertainment (AIE). THQ itself has tried to put a positive spin on the issue. "The evolution of our distribution model in the Asia Pacific region will allow us to increase our reach with a lower cost model," says Ian Curran, the vice president of global publishing. "We believe the company will benefit from AIE's backing and comprehensive distribution network across Australia." An AIE spokesman has also voiced his satisfaction with the turn of events, although neither party has commented much on the office's actual closure or the loss of work associated with it. THQ is not the first publisher to shut its doors in Australia, since operations are becoming more expensive there as the Australian dollar strengthens. Whether this says more about the state of THQ or the Australian economy at the moment, though, won't be clear until the publisher releases its financial statements for the current quarter.